We’ve managed social media for businesses since blogs became popular in the late 90s. We quickly adopted Facebook when it stormed the business world and forever changed marketing online. Today, social media marketing is the modern way to connect with customers, strengthen relationships and grow your business. 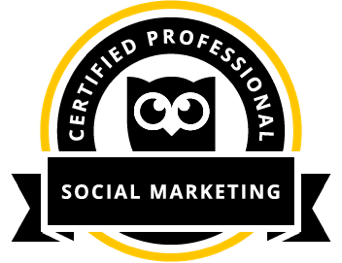 Over the past decade, our social media marketing services have helped our clients gain tens of thousands of followers on Facebook, Twitter, LinkedIn, Instagram, Pinterest and Google+ and other major social networks. You may be tempted by other companies which advertise that they’ll build your Facebook profile for free. Don’t be fooled! These companies rely on you to provide them content. VIB is here to make your life easier – not to make more work for you. We’ll get to know your business and develop custom content for each social channel. We’ll also engage your audience in meaningful conversations about your business and their interests. Combined with social media advertising to grow a targeted audience and drive traffic to your website, you’ll see the power of social media marketing in action! Strategy Development – Let’s start at the beginning. Why do you want customers to connect with you on social media? In order to meet your own goals, first you need to understand your audience and figure out why customers want to connect with you. Build a Presence – Your company needs to be where your customers are, and that means having an established presence on the most widely used social networks. We’ll help you build your business pages on Facebook, Twitter, Instagram, LinkedIn, Pinterest and Google+, and we’ll keep you in the loop on new technologies entering the scene. Content Development – Social media marketing is all about sharing information that interests your customers in a voice that’s authentic to your business. We get to know your business and your customer, and put together a content plan that will interest, inform and engage. Social Media Management – You may have a solid plan in place, but do you have the resources to manage your page consistently? We can handle the day-to-day posts and interactions, allowing you to focus on serving your customers. 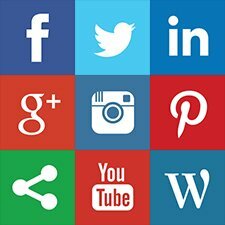 Social Media Advertising – Facebook, Twitter and LinkedIn have forever changed advertising with their uniquely targeted advertising platforms. Each of these platforms can display your ads to a targeted audience based on self-reported interests. Whether your potential customers share similar hobbies, similar job titles or certain demographic characteristics, social media enables you to focus your messages on individuals who would be most influenced by them. We will apply these tools to get your company’s information in front of the right people. We’ll write captivating ads, connect more people to your social sites and use them to drive traffic to your website, to your promotions and to your business. Active Listening – It’s essential to know where your customers are and what they’re talking about online. We’ll keep our pulse on conversations that relate to your business or industry, and actively engage with existing and potential customers. Training and Consulting – Social media is still a relatively new marketing channel, so you may not yet be comfortable or confident using it to connect with customers and promote your business. We were on the ground floor when social media entered the business arena, so we have the experience to get you past the velvet ropes. Social media marketing keeps your business top of mind with potential customers and, compared to other marketing and advertising channels, enables you to reach new leads with minimal investment. Depending on the nature of your business and your audience, we may be able to send traffic to your website for as little as 16 cents per click and gain new followers for less than 50 cents.